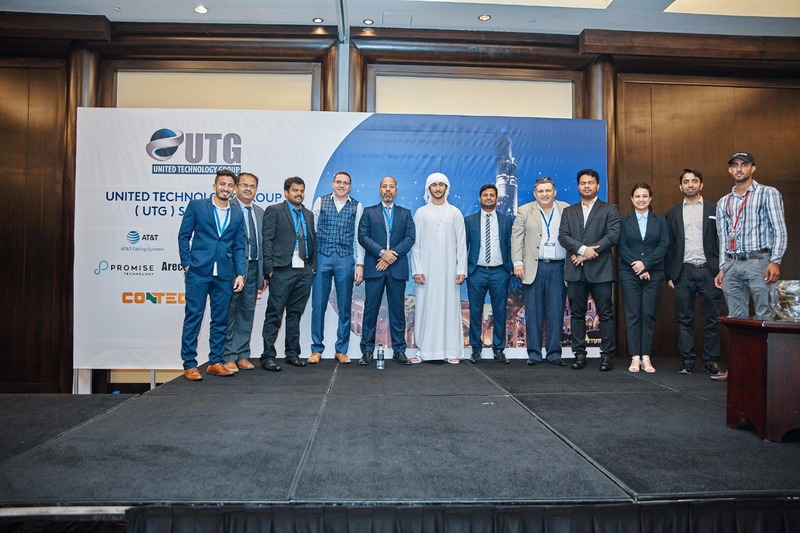 United Technology Group (UTG) a Value Added Distributor for ICT & ELV Systems, recently hosted the UTG Technology Summit 2019, successfully in Dubai. Through the summit UTG shared key details about the comprehensive ICT solutions portfolio it offers and integrates through partner vendors in the region. Key topics at the Summit included cabling infrastructure solutions, data Center infrastructure solutions, data center cooling & power solutions, physical security solutions and IPTV Solutions. The Summit saw an attendance of more than 150 industry professionals including consultants and system integrators. UNITED TECHNOLOGY GROUP (UTG) headquartered in Dubai, United Arab Emirates is a value added distributor of ICT and Low Current Systems in Middle-East and North Africa region. From enterprise networks to industrial supply to video surveillance applications to electric power distribution, they offer full- line solutions and intelligence that create reliable, resilient systems that sustain businesses and communities. With a global distribution network along with supply chain and technical expertise, UTG has been able to partner with key vendors in the region to handle distribution needs.